In the ongoing war on drugs, the number of arrests is about the only measuring rod of progress. So, there are lots of drug arrests every year. The FBI estimates that there were 1.5 million such arrests in 2016. Nearly all of them, about 85 percent, were for possession of a controlled substance. As an important side note, marijuana is only legal for medicinal purposes in the Sunshine State. And, even if you have medical marijuana, there are significant restrictions. 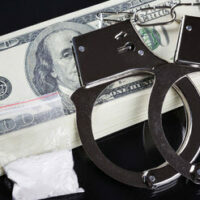 There are many reasons there are so many drug crime arrests in Florida. Larger arrests usually involve a police informant, while smaller arrests often involve a police dragnet. Specificity: If an informant says that a drug dealer is driving a black SUV, that description could refer to hundreds of vehicles. But if the informant says the vehicle is a black Ford SUV with an Alabama license plate, that’s much more descriptive. Time: This kind of information has a very short shelf life. That’s especially true if the tip refers to a scheduled drug transaction at a certain place and a certain time. If such a tip is more than a few hours old, it may be of little use. Source: Has the informant provided reliable information in the past? While such a track record is certainly no guarantee that this particular information is reliable, it does go into the positive column. The ends do not justify the means. A Tampa prosecutor cannot argue that the tip must have been reliable because the information turned out to be accurate. A tip is valid or invalid based solely on its merits at the time police officers receive it. Very often, if an officer pulls over a vehicle and finds drugs in it, the officer will arrest everyone in the vehicle. These kinds of mass arrests usually do not hold up in court. Possession is not synonymous with proximity. A person can be close to contraband but not possess it. First, the drugs must be accessible. If the defendant would have had to unlock a glovebox or reach over a seat to touch the drugs, that’s usually not good enough for possession. Second, the defendant must know that there are drugs in the bag or whatever. Knowledge that “something illegal” is inside that bag is not good enough. The prosecutor must establish every element of the offense beyond a reasonable doubt. So, a Florida prosecutor basically needs overwhelming evidence of guilt to obtain a drug possession conviction. Possession cases often involve procedural issues as well. Officers usually do not have search warrants in these cases, so they must rely on an exception. These exceptions are rather narrow. For example, to perform a consent search of a vehicle, the Tampa officer cannot just pick someone to agree. The person giving consent must be the vehicle owner. Officers arrest lots of suspects for drug crimes, but these cases are not easy for prosecutors to win in court. For a free consultation with an experienced criminal defense attorney in Tampa, contact The Matassini Law Firm, P.A. Nicholas G. Matassini is Board Certified in Criminal Trial Law and is AV Rated by Martindale-Hubbell. Nicholas is a life member of the National Association of Criminal Defense Lawyers, Florida Association of Criminal Defense Lawyers, and Hillsborough County Association of Defense Lawyers.